Today, I want to share my favourite thrift finds of this year - Beauty & Wardrobe, well loved but not-necessarily-bought, circa 2014. Yes the prices play a part, but it's more what you get for your money, and I measure that on wears - these 10, have earnt their keep 10 fold. 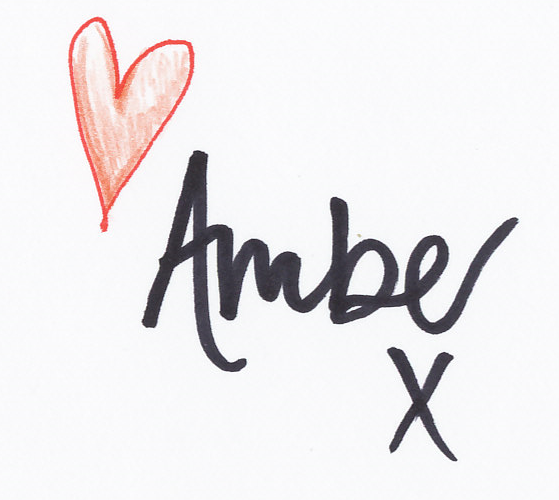 - Something everyone needs - not just bloggers telling you, society is. A button-up can never be regretted, and denim is a failsafe. I found mine in the 'Scope' Charity Shop. 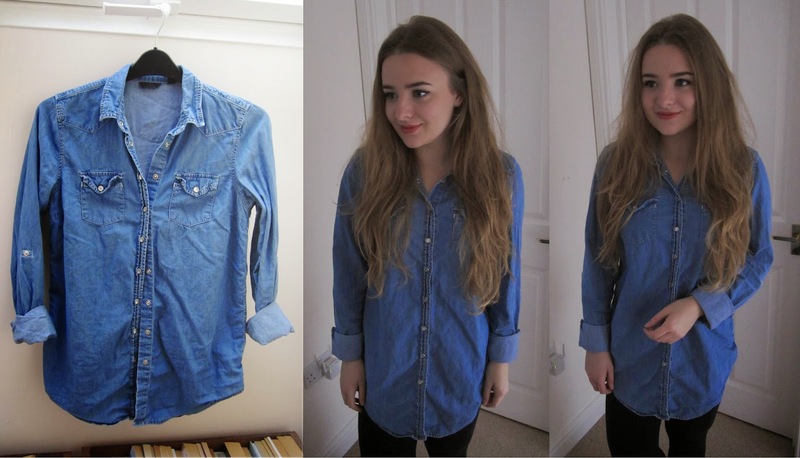 Mid wash denim look, chambray shirt; long enough for leggings, or as a thin jacket wanna be. 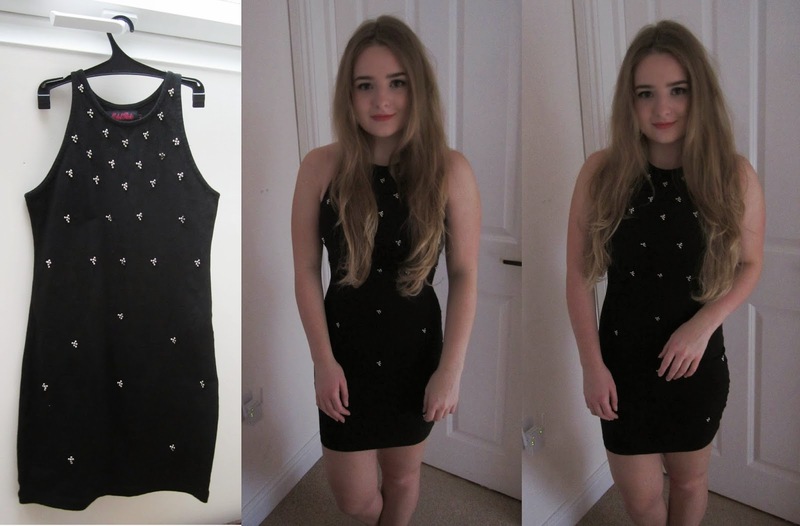 I like the colour, the fit, the price - originally TOPSHOP. Only be wary of the popper problem; need I say more? - Navy & white stripe, modern twist on the cable knit trend most posh preppy english clothing companys are known for. At no less than £58 new instore - CrewClothing - I'm glad I overlooked the size 14 label. Worn more than once a week, loungewear of choice, it's as good as new, and it's tempted me more than once to consider a second - full price. Crazy. Charity shop 'Relate' - also spotted in tkMAXX, yet not yet in a colour/style/size I fancy. - When confidence was high, and weather/comfortablility priorities were low, bodycon minis were just what my 1st clubbing experience ordered - and it landed on my lap on my 18th birthday. 2 years later, the smaller twin turns up in a Bootsale sweep. Price, and proven positive opinion on the style, meant I actually had to buy it. Currently considering a career change to crop top with the help of my new sewing machine, but for now, my high neck vest LBD days have a back up. - My Oh My did I not need this, I simply wanted it. 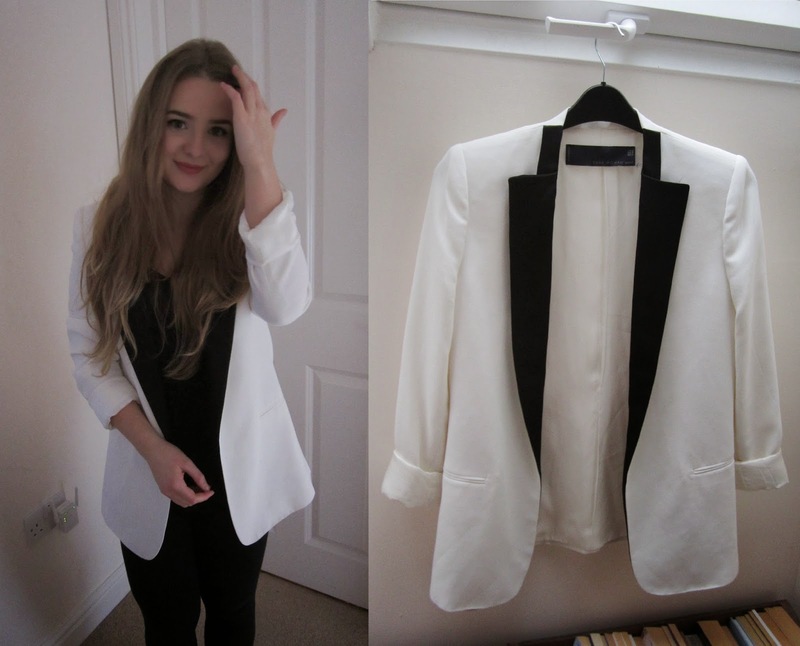 Following on from the white blazer trend I admired; lusting over the £40 highstreet options, but realising it was out of reach, just made the feeling of finding one in the chairty shop that much sweeter. Dress Suit/Tuxedo vibe, slightly unique; with the black lapels, a little less versatile, but also more special. That, and it's part of the Zara Studio line which gets major chic credit. That you need a lot of money credit to buy instore does make me a little smug too. - Bought in Zara's 2014 Summer Sale, the unseasonal-ness hasn't stopped me wearing this to death all year. 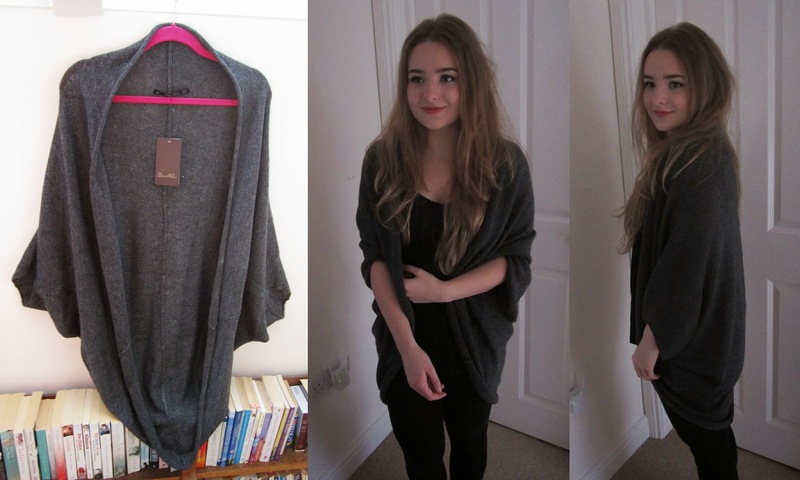 Cocoon cardigans are some of my favourite's to throw on over any outfit - I even devoted an entire post to it here. This one is a little more substantial, with woolen aspects which don't make me itch, in a classic charcoal colour to co-ordinate with any colour/mood/shade of sweatpant. - When you like the style, but resent the pricetag, check the Charity Shops. Case and point^. 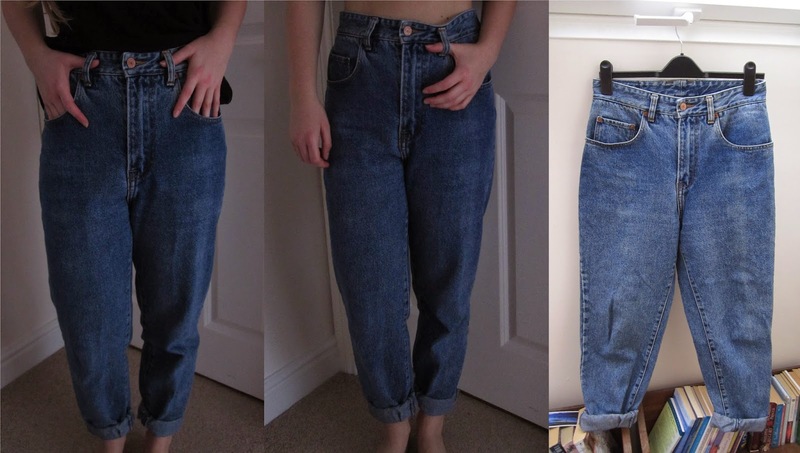 Mom jeans are the comfy yet flattering alternative to my uniform of skinny jeans. Sunday's are not for skinny jeans, and this hyped by many, is a stylish/suitable significant opposite; weekend special, that's weaseled it's way into the weekday aswell. Also managed to find some that weren't constricting/fit/style/isn't hindered by my thighs. Surprising. 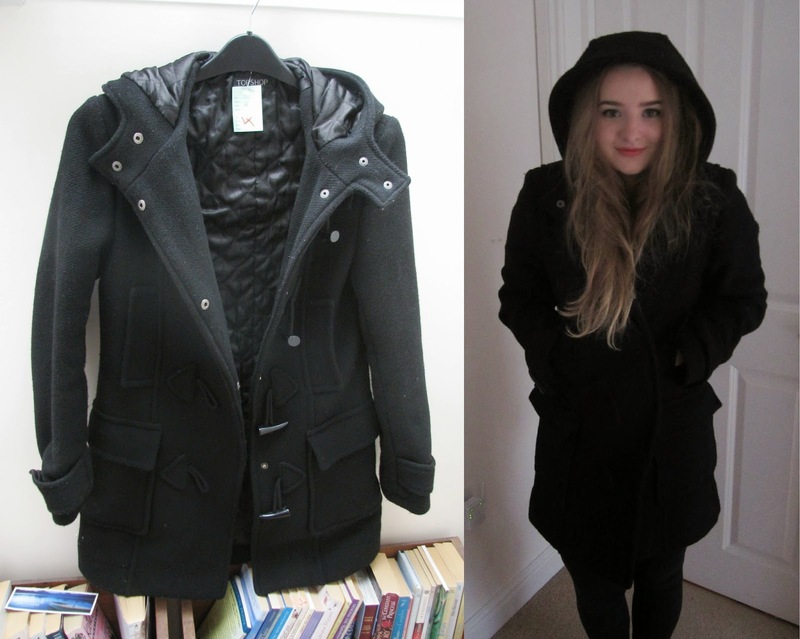 - A reliable, winter withstandable, Black Duffle Coat. 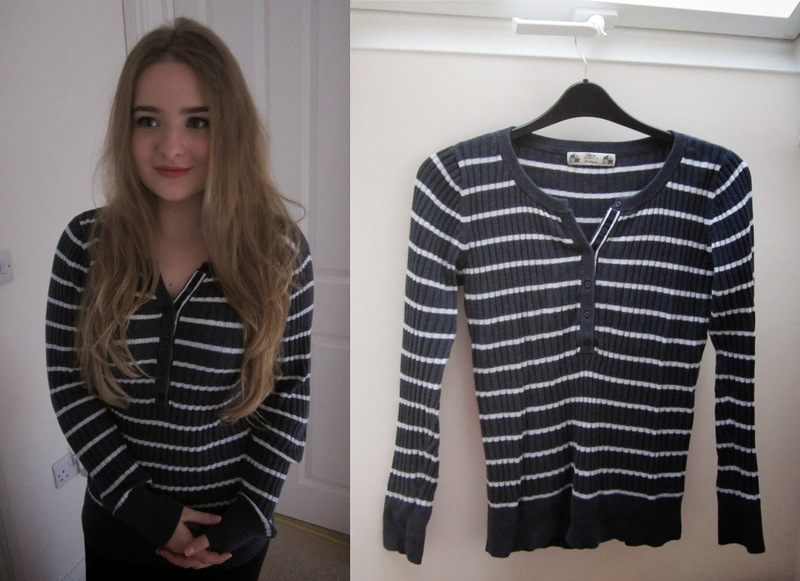 This Topshop basic came in at the same price of Dry Cleaning, miniscule £4, from St.Catherines Hospice. For a coat! It's hard to find simlair for 10 times that price new - & it's hood merits meant, I had a relevant excuse & space for it in my ever growing coatdrobe. The newest, but no less valued thrift find to make the cut. - Hallelujah for Amazon stocking American makeup - sings every blogger who's only got as far as american blogger photos. Before now. I want to give a massive thankyou to DD & Jeremy (Aunt & Uncle) for gifting me all three for my 20th birthday - spot on and so generous. The quality, price, amount of product, and sheer variety, mean these palettes bypass that of all I've seen in highstreets here. There are sadly a few dud shades - Review sure to pop up soon to keep you in the know - but this is a slice of cake I definitely want more of. - Though I'm not a lip product lover, I'm sure it would be some sort of crime to the beauty blogger community if I didn't pledge my allegiance to atleast one line of lipsticks. Simply the number of them in my collection speaks volumes. Formula line that ticks all the boxes - colour range, application, wear and price. I've collected all of mine through The Factory shop; prices '£2' per pout paint' has meant I've been able to experiment with different colours, without the guilt of it not working for me/not using it. £5.49 each for current stock in Highstreet Stores, varying prices on Amazon/eBay etc. make these thrifty/great valuable for anyone, even those who don't have access to The Factory Shop or shops alike. Their Matte (red tubes), not flat texture, is my personal preference for upkeep alone - always eligible to gloss on top - but I would recommend them both. In any colour in the rainbow, who said blue lipstick couldn't be fierce? My collection has grown since my Review, so here are subsequent Swatches. Well loved and AmBlogged as you can see. - My nails have been spoiled this year, by bargain, but quality polishes from no other than blogger aclaimed nails inc. For good reason. I now see the logic of freebies by magazine, because frankly, nothing quite matches my manis with these polishes. Opaque, long lasting, and in colours I continue to wear all year round. At £5 for a set of - 8 minis, 1 full sized bottle - in clearance from boots, and £2 per Christmas Glamour exclusive shade, you get more than what you pay for. I am so hooked I bought 4 copies of the same magazine, 2 years in a row; the funny looks in newsagents be worth it. The Thrift gods have been looking down on me - touch wood/rain dance/pray that it continues. > Watch out for some SERIOUSLY good thrift finds coming soon. > Sorry for the darkness of these photos - I spent one weekend setting up photos/swatches of all 12 days of Christmas posts (bar life) and these were at the bottom of that list - ended up with the bad side of the light. But I think the items show pretty true - whether you could HD it, is another story. > I've included Relevant Links to places these products have popped up before on my blog, encase this thrift fix wasn't enough. Thankyou, it took a fair few hours to get it right!